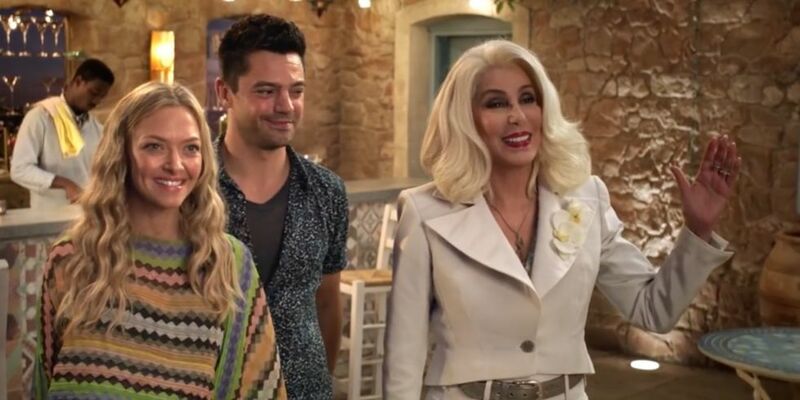 Sequel films rarely ever live up to expectations, but Mamma Mia fanatics will be just as enthralled with Mamma Mia: Here We Go Again! as they were with the original, despite the ten-year gap between films. Mamma Mia: Here We Go Again! takes fans back to the Greek Islands and tells the story of young Donna (Lily James) exploring the world and finding her path alongside the modern day progression of Sophie (Amanda Seyfried) as she re-opens her mother’s hotel. Donna’s story is unpacked beyond the diary featured in the first film, and fans get to see the events of the fateful summer she meets Harry, Bill and Sam, and the journey that led to her opening the hotel and raising Sophie. While diving into the adventures of 20-something Donna, the modern-day grand opening of the newly renovated hotel brings old friends and Sophie’s three fathers back together. The film explores the past that led to the original Mamma Mia! story and wraps up Sophie’s journey and the loose ends left in the first film, including her relationship with Sky. The film features a healthy mix of the old and new, showcasing the original 2008 cast plus several new talented members. Lily James holds her own as the young Donna, originally played by Meryl Streep, and she brings her own style to the beloved character. Fans will not be disappointed in the music as a few beloved ABBA songs from the first film re-appear along with a whole new soundtrack of songs from the famous band. Though some characters from the first film are not featured as much as fans may hope, the unexpected appearance of another music legend will delight the audience and add an extra bonus to the storyline, unique to this film. In films that feature flashbacks, oftentimes scenes can get confusing; however, the similar themes between the past and present allow for a more simple switch between Donna’s story and Sophie’s story. With the familiar cast and music, the 10 year gap between films has little impact on the quality of this sequel. Mamma Mia: Here We Go Again! stays true to the original with the same theme, style and light-hearted story. Mamma Mia: Here We Go Again! is filled with singing, dancing and 70’s fashion that won’t disappoint. The film is funny and heartwarming with just the right amount of cheesy every musical needs.